Are you scared or insecure when you speak English? Did you know that social scientists estimate that over 90% of what we communicate is non-verbal? This is a fascinating topic that goes way beyond the scope of language learning, but at the same time it is completely relevant. How you hold and present yourself in front of other people is a direct reflection of your psychology, in any language (including your mother tongue). The reason why this is such a useful topic for language learners (particularly women) is because for some strange reason the act of learning to speak in another language tends to invoke a tremendous amount of fear, insecurity, and anxiety. In fact, for many learners, this feeling is the most paralyzing obstacle to speaking fluently. But this is just the tip of the iceberg (the most apparent part to a deeper and more complicated issue). What’s even more intriguing is that recent studies are showing that the reverse is true as well: by consciously improving your body language, you actually start to reprogram your mind and experience the world differently. So, while it’s true that your thoughts, emotions, and attitudes tend to reflect themselves in your body language, and thus how others perceive you, by becoming conscious of the way we position our bodies we can essentially change our thoughts and how we feel. Before we explore the application of this information to language learning, I would like to invite you to watch the incredible presentation that inspired this article, “Your Body Language Shapes Who You Are.” This is a TED Talk video by Harvard social psychologist, Amy Cuddy. As Cuddy explains in the video, strong and open body postures (power poses) not only immediately communicate confidence, but they actually create it in your body and mind. She supports this with scientific data showing a correlation between power poses and significant neurochemical changes (increased testosterone and decreased cortisol) associated with confidence, assertiveness, and risk-taking. 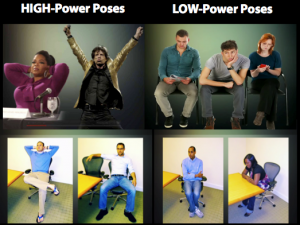 In one study, they took two groups of university students, asking one group to practice five minutes of power poses (above: open arms, expanded physical presence), and the other group to practice poses that are associated with weakness (below: closed, hunched over, making themselves smaller). They then put both groups through a short but rigorous job interview process with trained interview specialists, which they filmed and later presented to professional recruiters. The results were astounding: the recruiters, who had no information about the experiment, unanimously selected the candidates who had practiced the power poses. When the recruiters were asked their criteria for selection, they said that what caused them to choose these candidates was not a question of being more qualified, or even the content of their answers. It was something else. According to Cuddy, the candidates who had practiced the power poses for five minutes emitted confidence, enthusiasm, passion, and authenticity that “low-power pose” candidates did not have. None of these qualities are so tangible or quantifiable, but they dramatically influenced the recruiter’s decision. In another similar study, the hormonal data registered after just two minutes of power poses helps us understand exactly why our body language is so important. 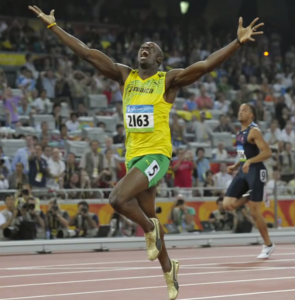 Saliva samples from the high-power pose group showed a 20% increase in testosterone (hormone for dominance, power), and a 25% reduction in cortisol (the stress hormone). Saliva from the low-power pose group, on the other hand, showed a 10% decrease in testosterone, and a 15% increase in cortisol. Another thing that this topic made me think about in my life experience is how some religious people raise their arms in glory to exalt their chosen savior. And this is not to take anything away from their experience or criticize their beliefs, but could it be that part of the euphoria that people feel while lifting their arms to God is a hormonal reaction to their uplifted posture? Good Posture (Open, Powerful): the high testosterone and low cortisol of high-power poses is correlated with leadership, assertiveness, confidence, optimism, risk taking, and the ability to think abstractly. Bad Posture (Closed, Fearful): the low testosterone and high cortisol of low-power poses is associated with powerlessness, fear, stress, and unwillingness to take risks. How Does this Apply Your Language Learning? There is a lot of information here, I know, but the research suggests that our body posture has a big impact on not only how others view us, but on our thoughts and emotions well. The impact is not only significant, but it’s immediate, and you can actually start to invoke changes right now in just two minutes. By practicing and maintaining strong and open body language, such as those exercised in the power poses, you will change the hormonal composition in your body, and also the way you feel, the way you are perceived, and actually cause yourself to be more assertive, confident, optimistic, and more likely to take risks. This is a psychological skill set that can completely change the way you communicate, especially in high pressure situations that would normally cause you to feel scared, pessimistic, and insecure (i.e. speaking English). In my opinion, these are the thoughts and emotions that compose most toxic components of language learning anxiety. By opening your posture and/or doing short power-pose exercises, as well as making this awareness a permanent part of you, you will invoke a series of hormonal changes that will reconfigure your brain and change the way you feel about yourself, the way others perceive you, and how you actually speak. As Cuddy’s presentation and story demonstrate, in whatever discipline or endeavor you participate in, you don’t need to be the most competent or confident person when you begin. But if you start acting like it (with your posture and your behavior), your thoughts and emotions will change until you literally become that which you are imitating. This is what it means to “fake it until you make it,” and this is at the core of all confident people. If you don’t speak English, fake it, try your best, open up your posture, and don’t let yourself shut down. Even if you don’t have the words to express yourself, or perfect grammar, act as if you already were fluent, and your presence will communicate much more than your words ever could. Cuddy recommends a simple two-minute exercise in which you raise your hands over your head. She recommends doing this in high pressure and evaluative situations, such as a job interview or when somebody else is judging you. After reading this article, stop and go do this in front of the mirror and time it with a clock or stopwatch. 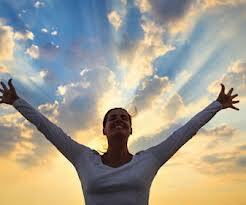 It will invoke an immediate change in your hormones and confidence. I know this because Cuddy’s video made a big impact on my life and I decided to make it a daily ritual. In fact, I’ve been doing this every morning for about 6 months and it has significantly impacted my overall confidence, my awareness of my body posture, and how productive I am in the morning. It’ll take two minutes a day, but if you do it for 30 days, you will form a new habit and a confidence tool that will dramatically change the way you feel. You will also develop much greater awareness of your non-verbal communication (and that of others). If you’re interested in hearing more about my simple morning ritual with power power poses, plus a really great video about how to create a new habit in 30 days, you can read below. If this article has been valuable for you, I would like to invite you to become an official part of the RealLife English World Movement by signing up for our free mailing list. Not only will you receive a weekly update on the best RealLife English news, including articles, podcasts, video lessons, event invites, and other presents, if you sign up now you’ll get a free copy of our famous e-book, 101 Words You Will Never Learn in School! Every morning after I meditate (another life-changing practice), I raise my arms for two minutes above my head in the “champion pose” (like the woman in the picture to the right) in front of the mirror. I keep a timer and stand with a moderately wide stance (the distance between my feet), and I look at myself in the mirror. While I’m raising my arms, another thing I do (not related to body language, but it’s an added influence), is that I read and concentrate my attention on inspirational quotes I’ve written on my mirror. For example, right now there’s the quote “Deserve Your Dream” by Mexican poet Octavio Paz, and “Be the change you wish to see in the world” by Mahatma Gandhi. These are both powerful messages for me, and by looking at them every day, little by little I make them an unconscious part of who I am. If this is something that resonates with you, I encourage you to make it a daily habit. You’ll feel an immediate effect on your confidence in all situations, including your language learning. Whatever it is you discover you need to do to improve your life, the most difficult and frustrating part of the process is often the habit creation process. After around 30 days, the habit becomes almost automatic. For help on making small but sustainable changes in your life, I recommend you watch this fantastic video by the author of “The Power of Habit,” a book (and video) that really impacted me. Or you can watch this power packed 3 minute TED talk on how to create a new habit in 30 days. Thanks for reading! I love it Justin ! I loved the way you linked body language to language learning. Thank you for your kind words and your inspiration! You’re the best! A 30 day challenge would definitely work. In Islam, we fast for 30 days in Ramadan. People see it as an opportunity to change their bad habbits, such as smoking, or acting violently … or work on good things like doing more charity, caring more about people around them … etc. In 30 days, you can be a whole new person . Hey Nana, that’s so cool about Ramadan. Somebody actually explained that to me recently and I really liked the idea. 30 days literally builds a new habit, and you guys have that built into a cultural/religious holiday period! Thank you for reading and commenting! I appreciate it, Jessica. My brother is a high school cross-country and track coach and I wrote him about this topic suggesting he try it out with his athletes before important workouts and races. You should try out the exercise I mention and let me know how it goes. Thanks this is very insightful. Great advice! Thanks so much Wendy for your nice words! oh my..that deep? Whoaa, i should to take it at my list of be changed soon.. It is an amazing article! I love it!! It occurs to me that this phenomenon is rooted in our primitive defense mechanism. Animals expand their body and separate their limbs when they want to intimidate other animals, and this is coupled with a series of hormonal and other chemical responses in their bodies as well. In humans this is apparently still at play, and we could use it to arise these chemical reactions. Thanks for this . It’s really so inspiring ! Well, it’s so informative in such a positive way and while reading it , something similar to it comes up into my mind . Actually, lately I read many articles about the law of attraction and it goes in a way with what Amy Cuddy said ” fake it ’till you make it ” and that’s absolutely right as we become what we think.